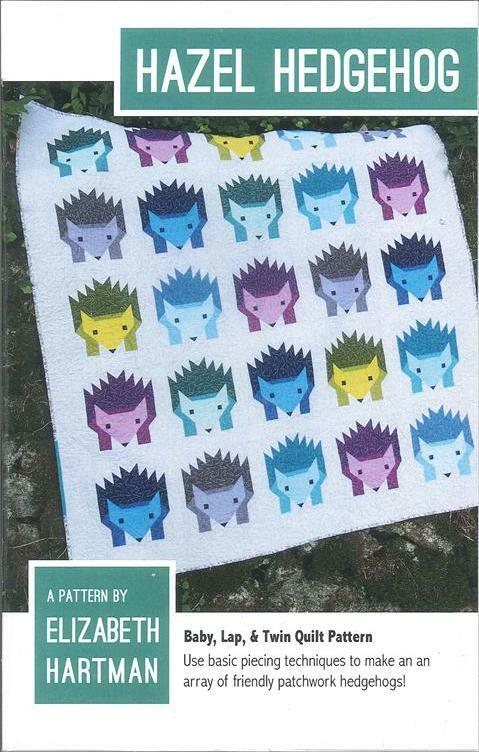 Elizabeth Hartman EHP015 Elizabeth Hartman Hazel Hedgehog Pattern- While they might not be as soft and cuddly like a kitten they certainly are cute whether in real life or interpreted in fabric on a quilt. Hedgehogs are rapidly becoming one of the freshest design icons of this decade on top of being adorable. Piece a pack of them on a quilt for your home. Choose from 3 sizes Baby 36"x 39" Lap 56"x 61" or Twin 66"x 83". Includes instructions and diagrams.